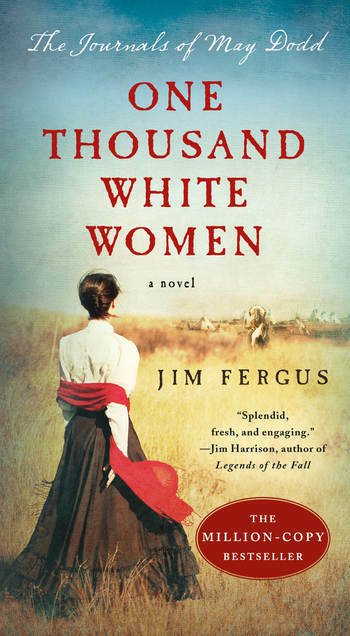 One Thousand White Women is the story of May Dodd and a colorful assembly of pioneer women who, under the auspices of the U.S. government, travel to the western prairies in 1875 to intermarry among the Cheyenne Indians. The covert and controversial "Brides for Indians" program, launched by the administration of Ulysses S. Grant, is intended to help assimilate the Indians into the white man's world. Toward that end May and her friends embark upon the adventure of their lifetime. Jim Fergus has so vividly depicted the American West that it is as if these diaries are a capsule in time. "Frankly, from the way I have been treated by the so-called ‘civilized' people in my life, I rather look forward to residency among the ravages." Jim Fergus is field editor and monthly columnist for Sports Afield magazine and also writes a monthly feature on the AllOutdoors.com website. His work has appeared in numerous national magazines and newspapers, and he is the author of the nonfiction book A Hunter's Road. He lives in northern Colorado.